Modern house fires are fuelled by flammable furniture and open-concept designs. The Canadian Association of Firefighters wants all new homes to have sprinklers, and is urging changes to the National Building Code. Burned-out homes and distraught families are often all that's left in the wake of a new breed of house fire that feeds off flammable furniture and open-concept designs. Those fires, which chew through homes with frightening speed, are prompting firefighters and fire-prevention groups in Canada to push for the installation of sprinkler systems in new homes across the country. "Fires today move very quickly, they are to be taken seriously. 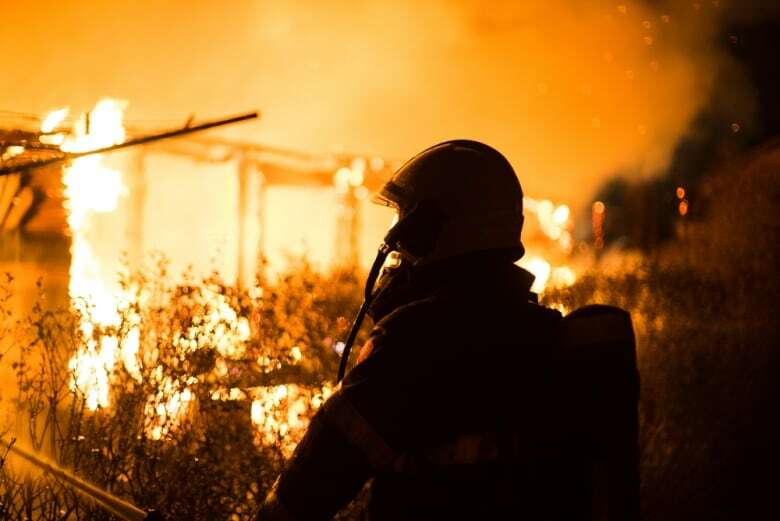 I think the concept that the fire department will come and save you all the time is a myth," said Vince MacKenzie, a director with the Canadian Association of Fire Chiefs. 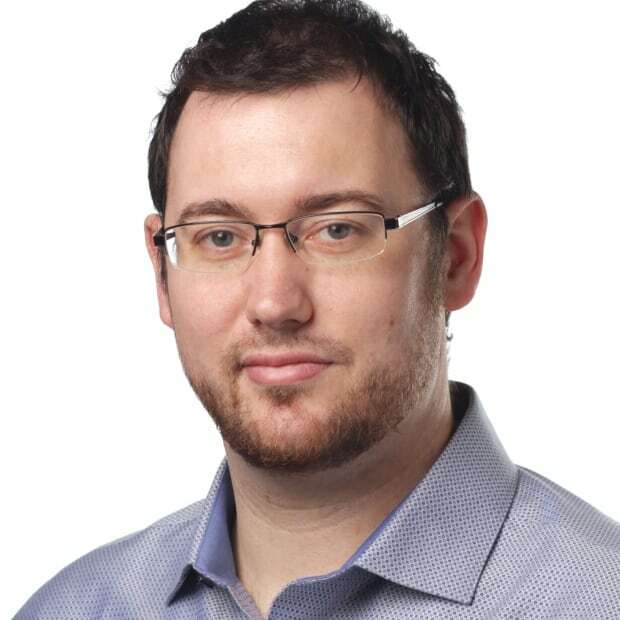 The association is advocating for the wider use of residential sprinkler systems, and wants the National Building Code of Canada, which sets out technical provisions for the design and construction of new homes, to reflect that. This week, a task group assigned by the Canadian Commission on Building and Fire Codes submitted a draft report on the costs and benefits of residential sprinklers. The commission is in the process of updating the National Building Code by 2020, which forms the basis for provincial building codes. 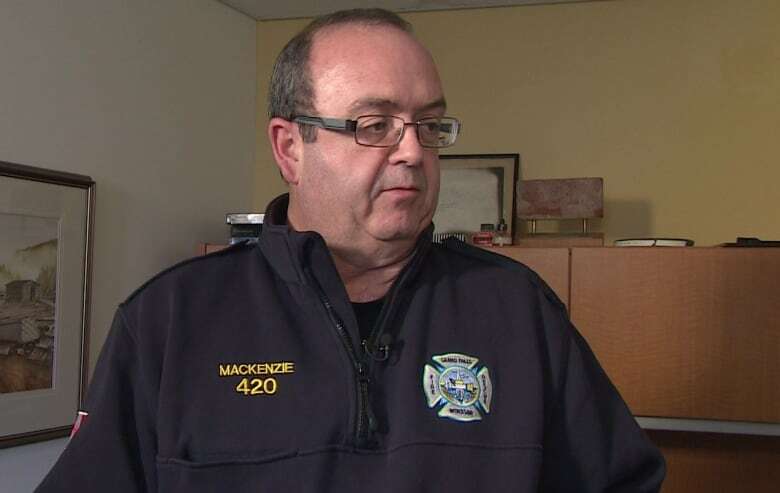 MacKenzie said fire departments are among those calling for residential sprinklers in new home construction. He hopes it will become legislation or part of municipal bylaws. 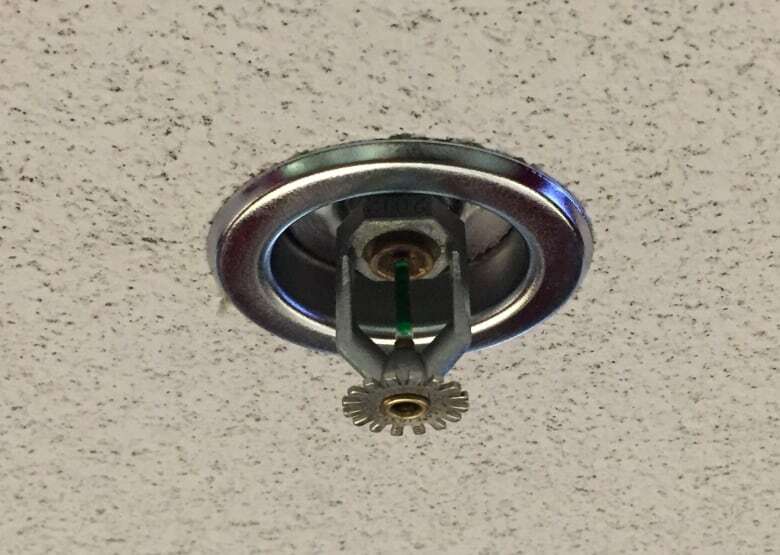 Sprinklers are needed to control modern fast-spreading house fires and to give occupants more time to flee the home, said McKenzie, who is also the fire chief in Grand Falls-Windsor, N.L. Fires today grow more quickly because many furnishings and consumer products are made of plastic and other petroleum products, making them highly flammable, said MacKenzie. 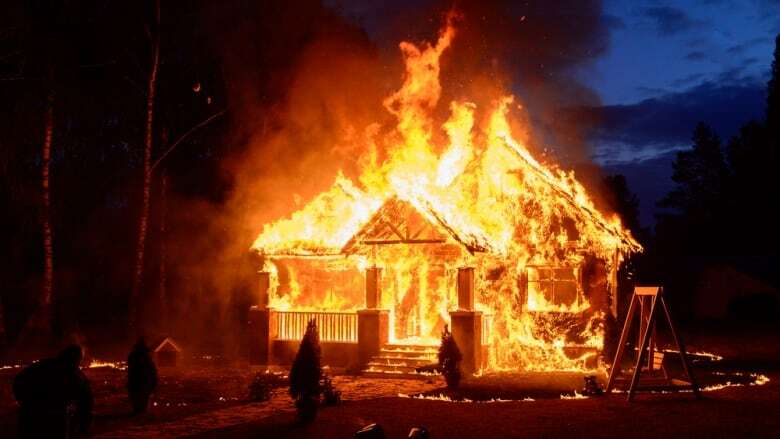 Open-concept homes also allow fires to spread faster because there are no walls to slow the flames. In the last 20 years, MacKenzie said he has seen the speed of fires increase dramatically. He said it also takes less time for a room to "flash over," which occurs when a fire's intense heat causes objects to burst into flames. "One time you had 15 minutes before a room flashed over in a residential setting, nowadays it's been clocked at under three minutes," he said. "Typically it takes that long to get the fire truck out through the door." The most recent numbers from Statistics Canada show that 96 people across the country died in residential fires in 2014, down from 141 deaths in 2010. The National Research Council of Canada provided technical support for the building codes commission task force looking into the costs and benefits of residential sprinklers. Philip Rizcallah, a director with the research council, said its research has shown that modern house fires do grow faster and that sprinklers do help control their spread. But he said that does not mean sprinklers are the only way to protect people. Constructing homes with fire-resistant materials between the floors and walls, building more exits, sealing exposed wood, and putting doors on rooms to compartmentalize a fire are all ways to slow down a blaze, he said. Rizcallah said the objective of updating the building code is to improve safety in an effective and affordable way that works for everyone. "It's not safety at all costs," he said. "It's safety at a reasonable cost, because you can make it so that it's unaffordable and if nobody can actually afford a home then you've missed the boat." Exactly how much it costs to install a residential sprinkler system is hard to pin down — the research council said it varies widely across the country. MacKenzie estimates installing a sprinkler system during the construction of a new home adds about one to two per cent to the building cost. Installing sprinklers in an existing home costs about five per cent of a home's value. Putting a sprinkler system in an older home isn't easy. It means tearing down sections of wall and ceiling to make way for new piping, and in some cases an additional water line or water storage tank may be needed to supply the sprinklers. 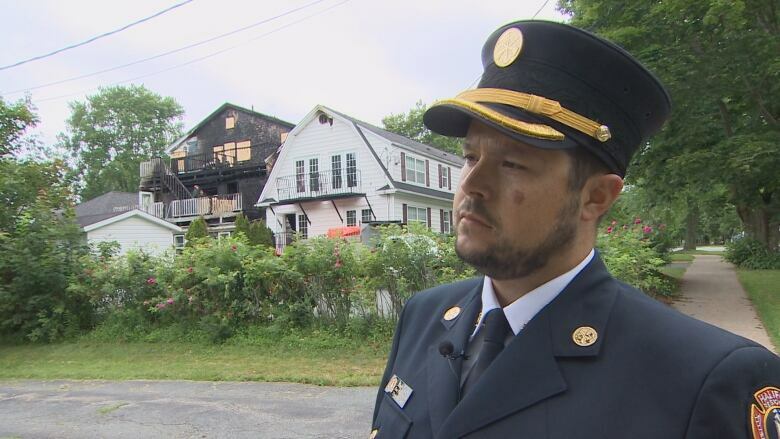 Matt Covey, the division chief of fire prevention with Halifax Fire and Emergency Services, said if sprinklers become the norm in new homes, bigger water lines will be needed to feed subdivisions. Still, Covey said sprinklers are the next important step in home safety. "It also allows for a much safer evacuation, it can control that fire and give you a much better chance of getting out of the house safely," he said. Some homes in Halifax already have sprinkler systems, Covey said, but that's fairly uncommon. The committees working to revise the National Building Code have not made any final decisions on the changes they want to make. The public will be consulted before those changes are finalized.